There was no real reason for it, but I just woke up and immediately felt…not my best. My neck is still causing my grief (I say my neck but according to the chiro and massage therapist it is more my right trapezoid, pecs and something in my shoulder blade) which makes doing darn near anything minimally uncomfortable to down right painful. 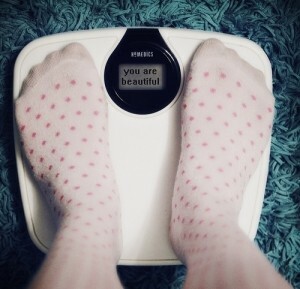 I weighed myself (bad idea bad idea…I was already in a cranky mood) and felt really disgusted with myself. (My clothes are still fitting just fine, so it is possible that I am creating some muscle with some of the exercise) . But lets be real: the point is to lose some weight not gain weight, so any number on a scale that is bigger than the last number on the scale can play lots of mental mind games. Then I looked for a job. Mill worker, granite fabricator, maintenance technician, sales, CNA, retail, and RANCH Worker, Animal and Hay. 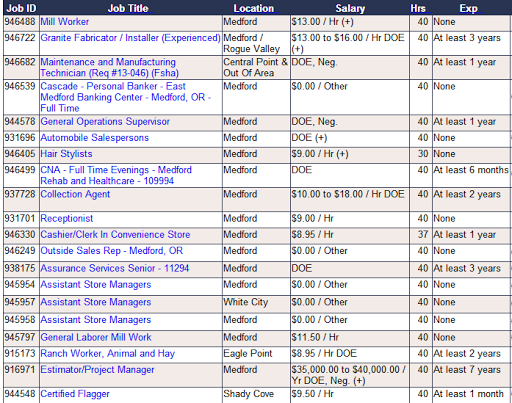 This is just a snip of the unemployment department’s job listing, but all the other job listing sites offer us a similar mix of truck driver, medical field, sales and industrial. This was extra disheartening to me yesterday, because, I was already in a negative mindset. I debated going to the gym. Monday is yoga day, and I thought I could probably do that without causing more injury to my neck/shoulder, but I didn’t really want to and what if I did hurt it more? Every little movement hurts as it is! I thought long and hard about going, or not going. And I pulled from my memory banks sayings like the ones above. You will never regret a workout. You know you always feel better after a workout, always. Just two weeks ago your yoga class changed your whole day. JUST GO. So before I could change my mind or talk myself out of it, I threw my clothes on and got out the door. Because it’s true: getting out the door is always the hardest part. Yoga was pretty good. It wasn’t earth shattering, but I went, I was careful with the poses and didn’t push myself too hard. I got a nice compliment from my instructor on warrior two pose. There is always thing to work on in yoga, to focus on. Keeping the front shin/calf straight and leaning into that front hip, keeping the hips aligned are all part of what the focus of warrior two is (among other things). After yoga, I headed home for a quick shower and then to the chiro for another massage and adjustment. I had a new massage therapist. She had really great energy for me yesterday. She is also a yogi, so we were able to incorporate some of the common language of yoga to help discuss stretches I should do, breathing I should do to help with the massage, and she also has a similar mindset to my typical mindset. She was half counselor/half massage therapist. It was really helpful for me to hear someone else saying to me the things that I often say to myself and to others. See, the universe really does know what we need, even when we aren’t necessarily in the right frame of mind. My chiropractor also gave me a little pep talk and told me to quit being so damn hard on myself. I love that about her. I often suffer from an all or nothing mentality, and this neck/shoulder pain thing is, well painful, but that pain can also cause stress (stress can make the pain worse, too), but also it is a mental thing because I am trying so hard to stay motivated to keep my activity up, to focus on being active to be healthy and to lose weight, that this pain issue makes me so frustrated! I feel like a big roadblock has been thrown up in my path and that just as I am mentally in a good place to be active and start doing it, then BOOM, physical issues that want to stop me. Oh, Randy Pausch…you are so right on. Did the rest of my day turn around and become amazing? No. Not really. But I was no longer in a mental fight with myself. I DID go to yoga, I did take care of myself, I did eat healthy. Today, I am still in pain and I have a day of homework ahead of me. But I am not in the same place I was yesterday, mentally. Some days we just have those days and it is so helpful to have friends and care providers that can give us a virtual slap and tell us to snap out of it. I’m not sure if this post made any sense, but I guess the bottom line is that we all have days like “those” despite our best efforts to be positive and to think positive, and that it is okay to have those days. It is also really great that the people I have in my life understand me and have a similar belief system and are able to tell me the things I already know, because sometimes it helps to have someone else say it. Thankfully, today is a new day and I am going to let go of yesterday. 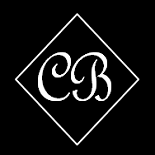 This entry was posted on January 22, 2013 by Corrie Beebe in growth, health, lessons, mood, motivation, quote.